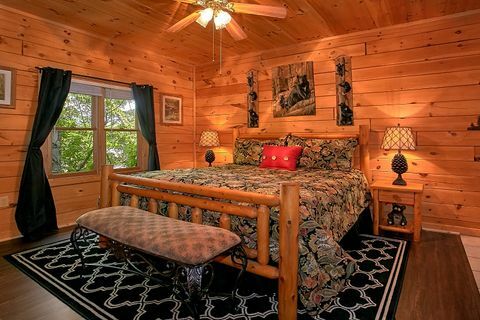 Welcome to "Simply Irresistible," your cabin in Pin Oak Resort near Gatlinburg with swimming pool access and spectacular Smoky Mountain views! 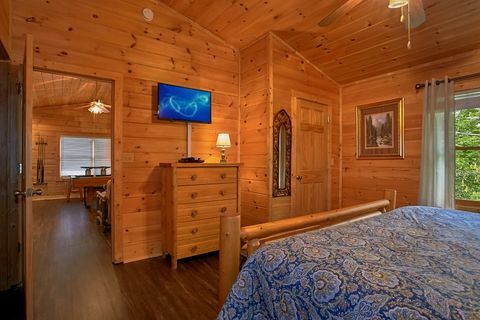 "Simply Irresistible" provides guests with a spacious 2-bedroom cabin near Gatlinburg that accommodates up to 8 guests and lies within walking distance of several area attractions such as The Titanic Museum, The Hatfield and McCoy Feud Dinner Show, Wonderworks, and more. 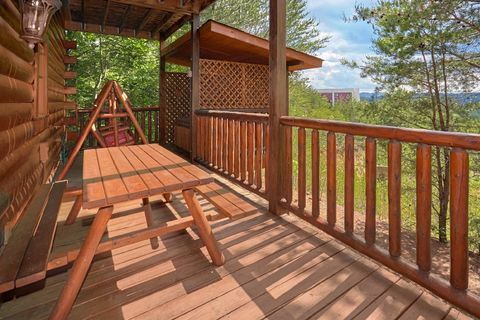 You can enjoy fun with friends and family back at your cabin as well. 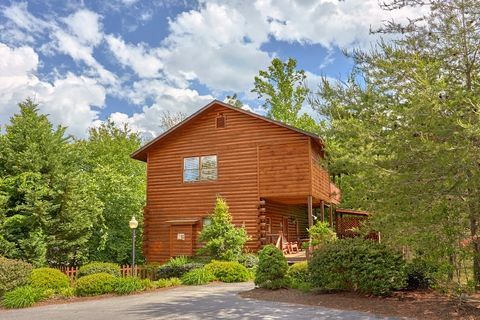 This resort near Gatlinburg with swimming pool offers its guests seasonal access to its pool facilities, allowing you and your guests to cool off from the summer heat. 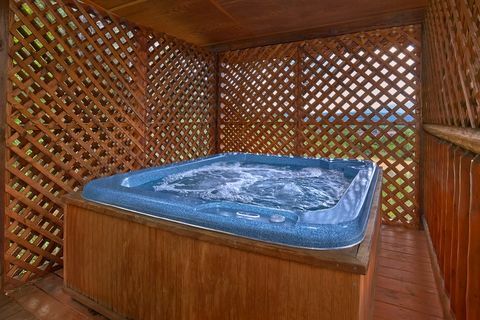 After a day filled with fun and adventure, easily make your way back to your Pin Oak Resort cabin escape for quiet relaxation in your cabin’s year-round hot tub which overlooks awesome views of the Smoky Mountains area on your deck. 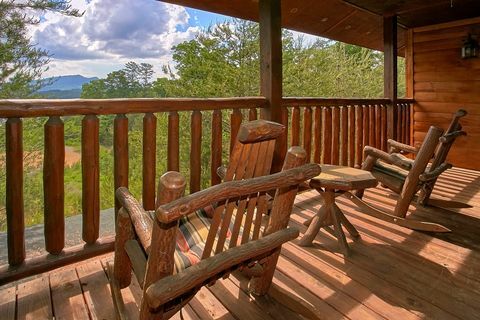 There's also porch rockers and a porch swing from which to observe these great views and enjoy the mountain air. 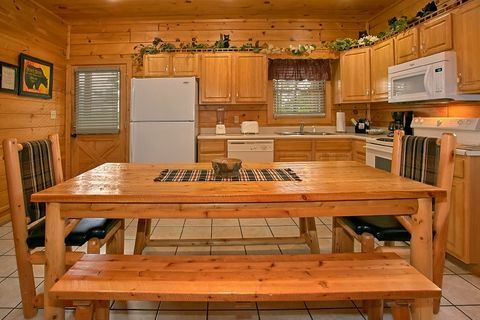 When you're hungry, your cabin offers a fully equipped kitchen, dining area, and charcoal grill ready for cookouts and family meals whenever you are. 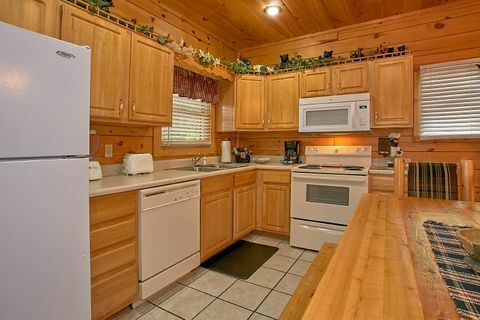 After dinner, enjoy some fun and games with friends and family. 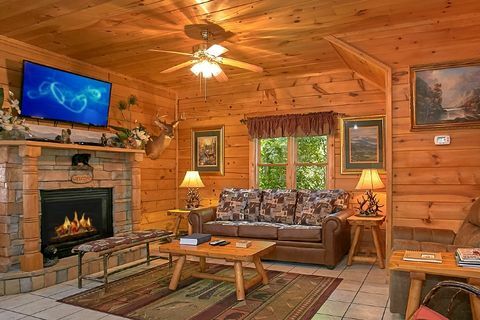 In cooler months, gather around the gas log fireplace with popcorn to watch your favorite holiday movie. 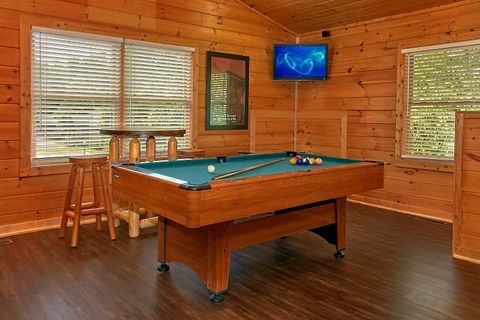 In your cabin's game room, you can enjoy playing the arcade game or enjoy some friendly competition with a game of pool! 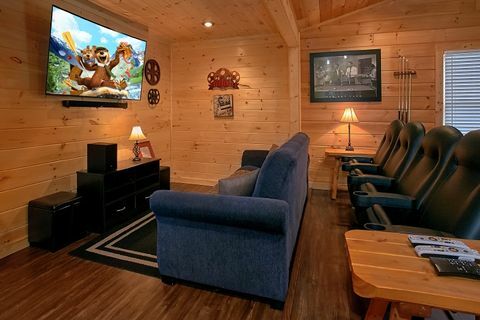 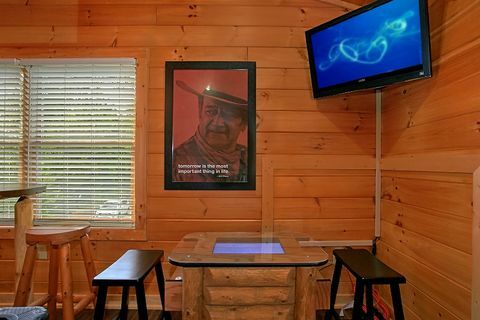 For unwinding in the evening, everyone can sit back and enjoy a movie in this cabin's media room. 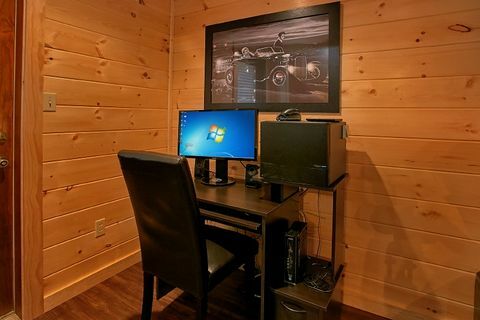 Lastly, a computer, computer desk, and WiFI come in this cabin. 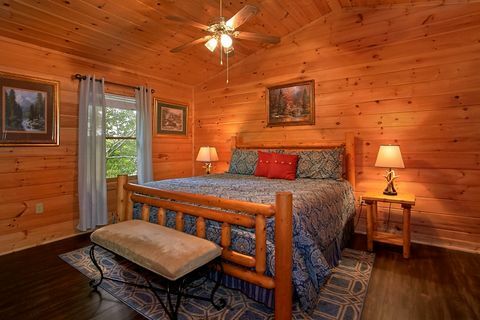 At the end of the day, there’s plenty of space to enjoy a restful night of sleep. 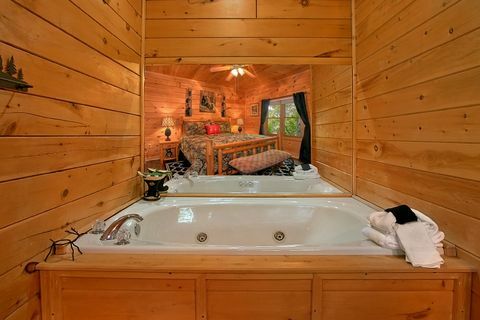 This cabin features a master suite with king bed, jacuzzi for two, full bath, and television. 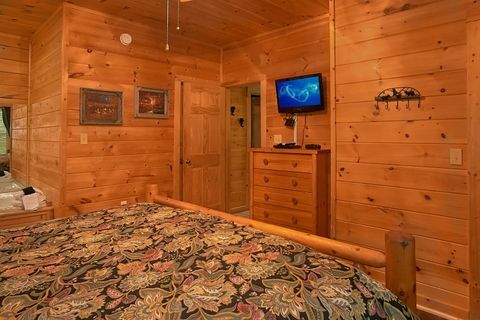 Upstairs, the cabin's second bedroom boasts a king-size bed, full bath, and television as well. 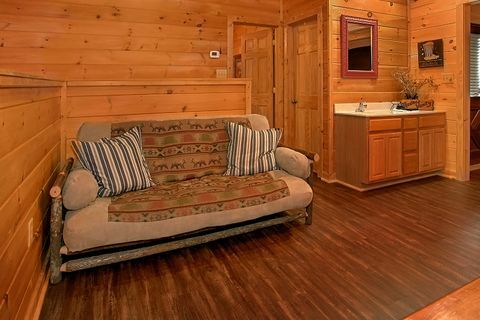 Lastly, 2 sleeper sofas provide additional sleeping space for guests. 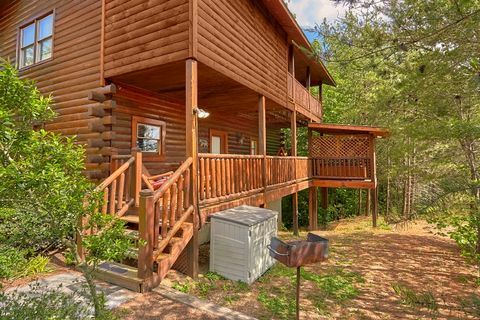 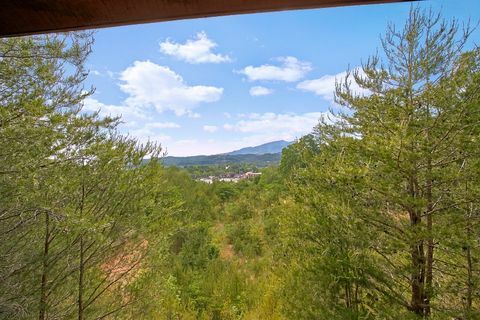 Excellent vacation rental amenities coupled with your cabin's close proximity to the Smoky Mountains biggest area attractions makes this the ideal getaway for small families and couples. 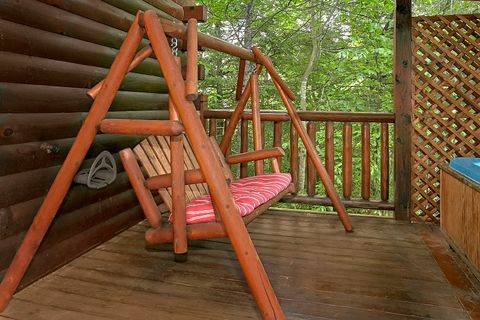 Ready to enjoy a highly affordable cabin vacation in the Tennessee Smoky Mountains? 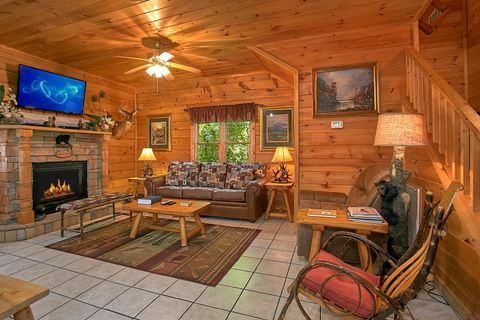 Book your Pin Oak Resort cabin near Gatlinburg or another cabin near Gatlinburg with swimming pool access ONLINE for an immediate Online Cabin Special!